The movers came on November 27 to pack up our apartment for our move back to Washington. 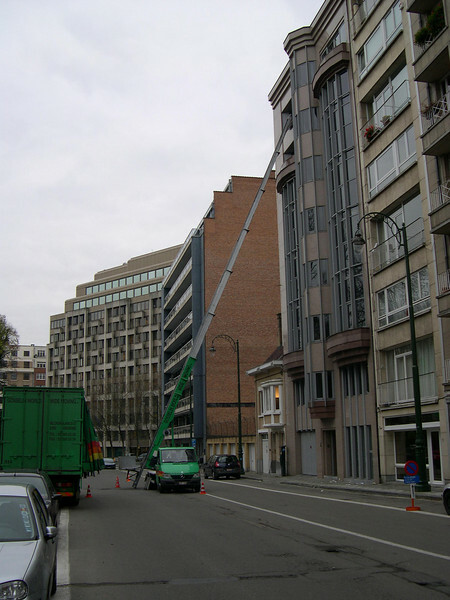 The next day, they returned with an external elevator truck to pick up the boxes from our seventh floor apartment. All went well until the elevator broke down part way through the move, and they had to take the rest of the boxes down the building elevator and the stairs. Here is a picture of the external elevator reaching to our seventh floor apartment.